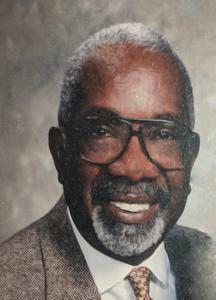 Mr. James Howell, age 90, died peacefully at home on April 6, 2019. James was the loving husband of Katie Howell for 67 years. James was born July 23, 1928 in Ottawa IL to the parents of William & Essie Howell. He moved to Muskegon with his family as a youth. He graduated from Muskegon Heights High School Class of 1946. While there, James excelled in sports. He was a member of the 1945 and 1946 State Champion Football Teams. He was also a US Navy Veteran. Loving father of Rickey, Wanda (Michael), Gibb, Timothy & Craig (Sarah). proud grandfather of 10 grandchildren & 4 great-grandchildren. He is also survived by 3 brothers, 1 sister & a host of nephews, nieces, cousins & friends. Saturday, April 20, 2019, 11:00 AM at Beulah Baptist Church, 2601 Manz St., Muskegon Heights. MEMORIAL: In lieu of flowers, please make a donation to the America Cancer Society in his name.